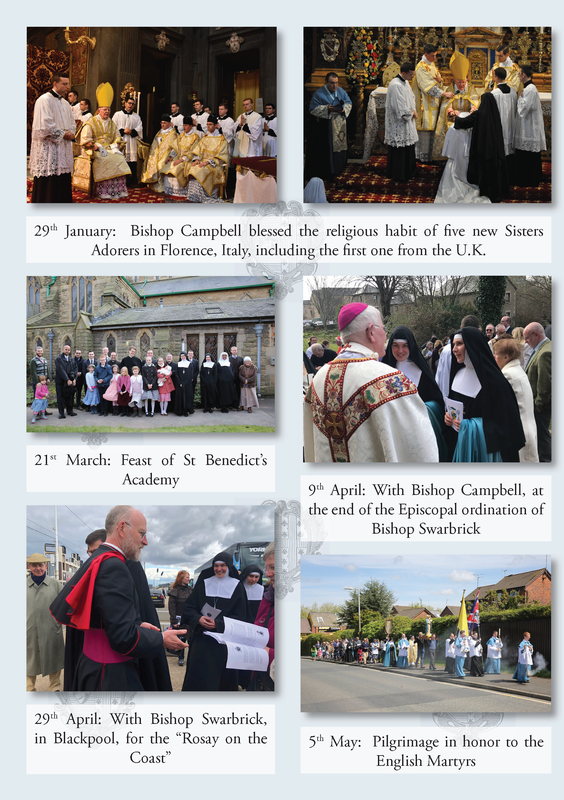 Since the opening of our little convent in Saint Austin’s in November 2017, thanks to the kind invitation of Bishop Campbell (now retired), we have begun our mission in Lancashire. We would like to share with you some highlights of these first months. After a little time of adaptation, we started to help our Prestonian Canons (Canon Cristofoli and Canon Tanner) with the little Saint Benedict’s Academy, which opened last January. One of the sisters comes each day to give French and Gregorian chant lessons to the children. It is a great joy for us to be like another presence of God for these little souls! A very important moment for us was to accompany Bishop Campbell, who gave the religious habit to five of our postulant Sisters in Gricigliano, our Motherhouse, on the feast day of our patron saint, Saint Francis de Sales. 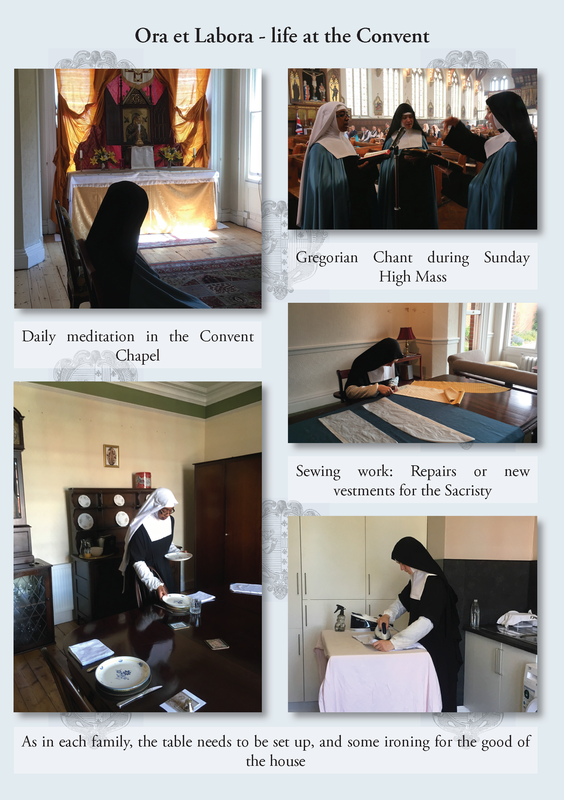 Following the example of many generations of monks and nuns, our life is centred on daily prayer in front of the Blessed Sacrament and the Holy Sacrifice of the Mass. Every day we attend Holy Mass in the Shrine Church of Saint Thomas of Canterbury and the English Martyrs, which was untrusted to the care of the Canons of the Institute a year ago by Bishop Campbell. At times, we sing the Mass propers, while the children of the Academy practice the Gregorian chant and Kyriale they just learned with us. On the 21st March was celebrated the feast day of Saint Benedict, patron saint of the Academy. Lessons were cancelled and a great game with the children took place. They had to find the Rule of the great european patriach… investigations, enigmas, laughs and good humour… everything finished with a good lunch blessed by our Canons who organised this memorable feast day with parents & teachers. Following the motto of Saint Benedict, “Ora et Labora”, prayer & work, we dedicate a part of our time to cleaning and tidying this beautiful church of the English Martyrs, especially before the great litugical feasts such as Easter, Saint George, protector of England, and the English Martyrs. As we work in the church, it is a sincere joy for us to see people coming to the church to visit and pray. Another important moment of Eastertide was the episcopal Ordination of the new Bishop of Lancaster, Bishop Paul Swarbrick, on the 9th April. We had the chance to attend the ceremony in Lancaster cathedral and meet with the diocesan clergy. A few days later, following the appeal of Bishop John Keenan, we participated in this beautiful initiative of the Rosary on the Coast in Blackpool with some of the parishioners of the Institute in Preston. We were honored by the presence of Bishop Swarbrick, and were delighted to pray for life from its conception to its natural end. Every Sunday now we sing the main Mass at St Walburge’s, helping our Canons in Preston, uniting our voices to the splendor of the divine Roman liturgy. 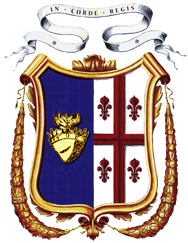 It is also the opportunity to meet the great family of the Walburgians parishioners. We were also kindly invited by the Latin Mass Society to sing the Solemn High Mass of their annual pilgrimage to Holywell, North Wales, on the 1st July: what a privilege to venerate the relics of St Winefride! Be assured of our daily prayers during Adoration of the Blessed Sacrament: our all life is sacrificed for you and your intentions, do not hesitate to send them to us. May God bless you and Our Lady of Walsingham protect you! Your Sisters need your help! We have chosen to live true and real poverty as part of our vocation for the benefit of souls. Our contemplative life therefore does not provide us any income, and we have our expenses, which we try to keep as low as possible: we rely solely on the generosity and charity of our friends, and we would be very grateful if you could help us financially. We received a great response after our first appeal last November, but we have to seek your further support at this time as our finances our now very low. Our main concern is the payment of our annual heating bill (£2000 approx. ), our house insurance (£1500 approx. ), and council tax (£1500 approx. ), car insurance, plus our daily needs (food, petrol, and maintenance of the house). If you were able to set up (even a small) monthly donation, this would be a great help and would enable us to more fully dedicate ourselves to Adoration and prayer for all of you. Thank you in advance for your support, and please be assured of our special prayers for our benefactors.